2) Ensuring that the mix of lights used, cut out shadows. Strip lights:These fixtures are great for vanity lighting as they reduce shadows and help you shave or apply makeup with precision. You get them in the form of globes, and focused cup lights. These can be placed on top of, or to the left or the right of the mirror. Wall lights:These come in the form of decorative brackets and sconces, and are great for accenting and complementing overhead lights. 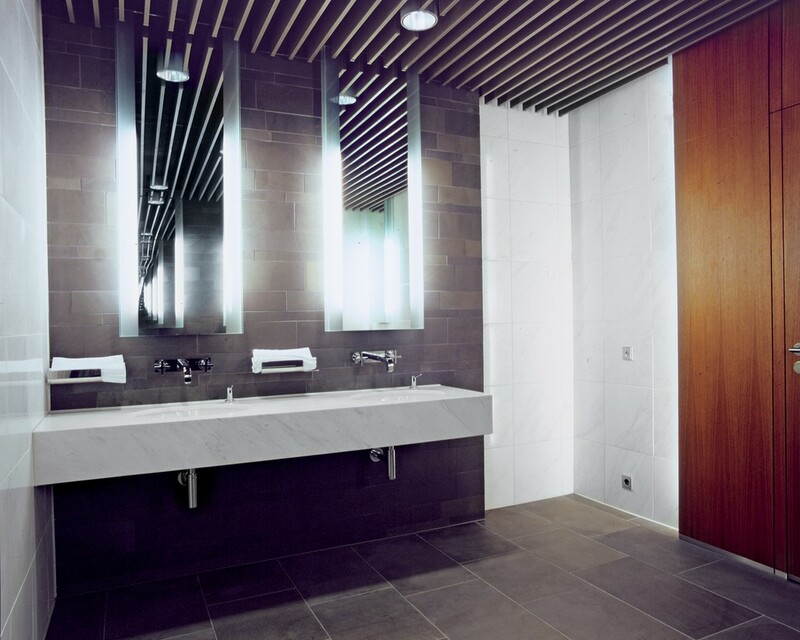 These can also be installed beside mirrors to further reduce shadows. Where should I place my vanity lighting? Since vanity lights are important for reducing facial shadows, they should be mounted on the sides of the mirror, roughly 30-40 inches apart with the center of each bulb at eye level, or approximately 66 inches above the floor. What type of light bulb should I install in the lights on my bathroom wall? If you’re looking for crisp, white light, you should go for a halogen bulb. These last longer and provide better lighting than their incandescent counterparts. You could also consider a fluorescent bulb with dimmers to conserve energy and set a mood. What kind of lights should I go for, in the shower area? 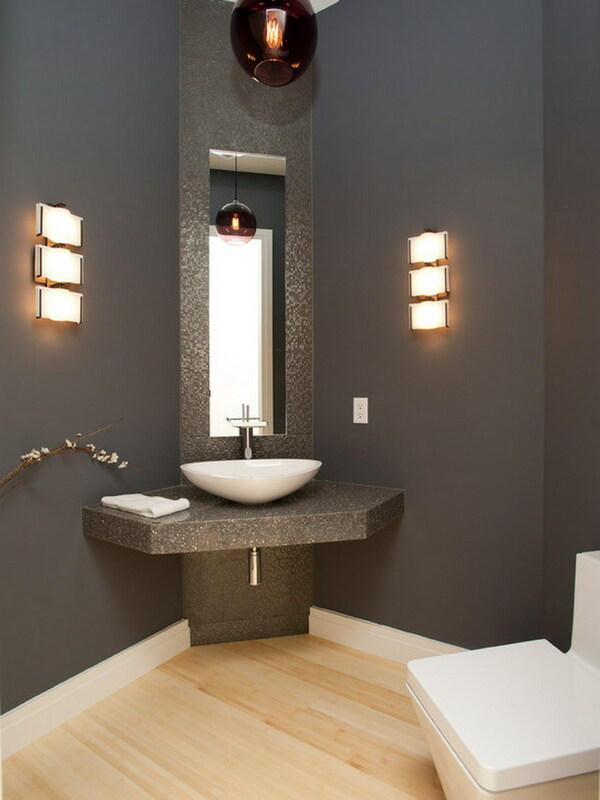 If you are looking at lighting the shower area, you should consider recessed lighting, with a water resistant trim. Else, if your shower panel is separated by a smoked glass wall, you could also look at installing a flat light fixture overhead, in the water cabinet area. 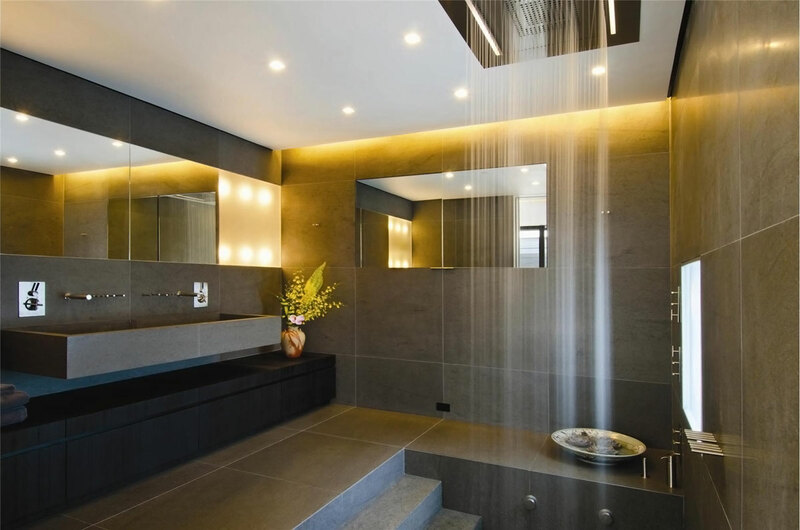 This would let diffused light pass and set the mood while lazing in the tub or taking a quick shower. 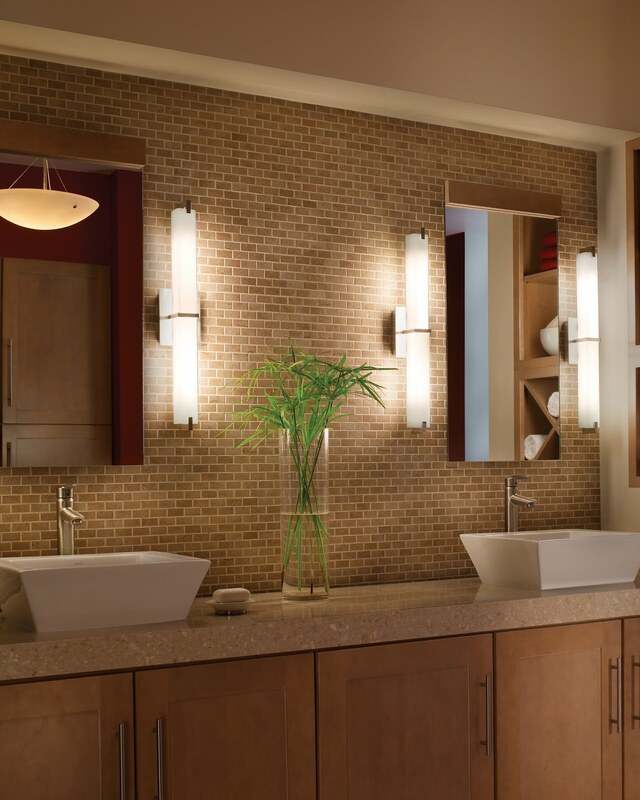 Check out our latest bathroom lighting products at BuildingBlox.in.